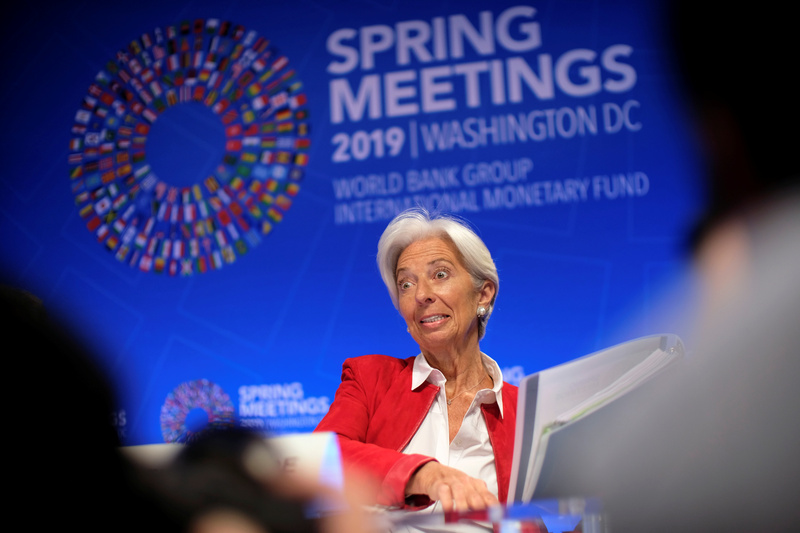 IMF Managing Director Christine Lagarde speaks at the Spring Meetings of the World Bank Group and IMF in Washington, U.S., April 11, 2019. The risk that global economic growth could slow more than expected spurred a call on April 12 from top finance officials for countries to overcome trade differences and opt for multilateral cooperation and "timely policy action”. The call came at the spring meetings of the World Bank and the International Monetary Fund in Washington, D.C.